Children’s Books Make A Great Gift! In this post, I have a couple of books I’d like to share with you. Both are wonderful stories in their own way, providing for a special storytime. The books are Jeannie’s Crab Lake Christmas and Ted The Friendly Frog And The Tale Of The Diamond. 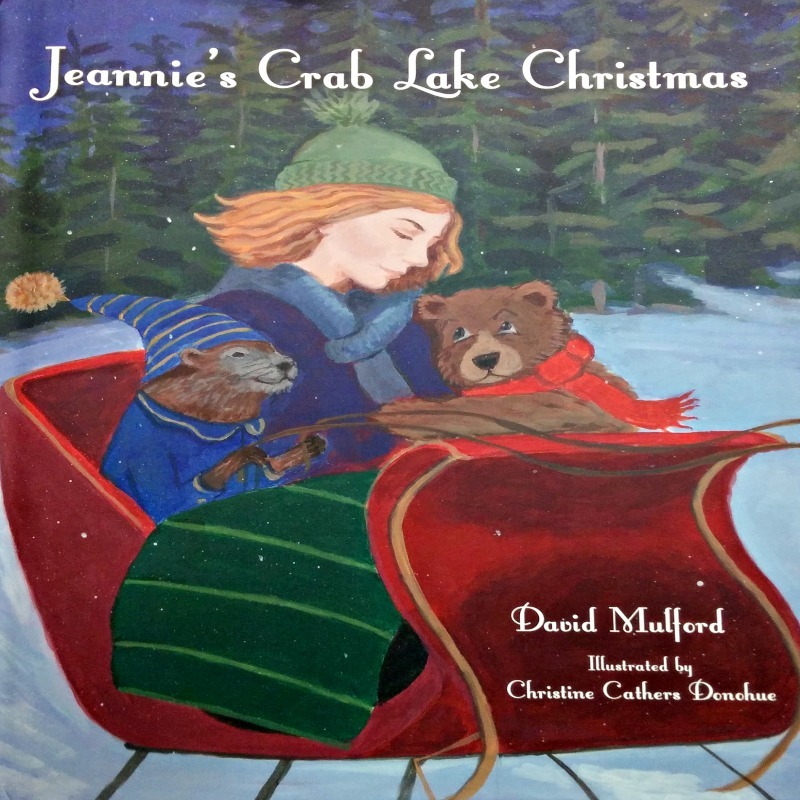 The first book, Jeannie’s Crab Lake Christmas, is written by David Mulford. This story takes place in the forest. The animals hear that Jeannie is coming to Crab Lake with her family for Christmas, and they are excited as they prepare for her arrival. Jeannie is a beautiful and sweet girl and the animals know of her, but only from afar. Now, they finally have the chance to meet her up close and the meeting turns into a sweet, fun night, including a wonderful celebration of sorts. This story reminds me of when I was a child and I wanted to be like Cinderella in the sense that I always wanted to be able to talk with the animals like she did. What makes this story even more special is the following: “For the last twenty-seven years, David Mulford’s Christmas gift to his wife, Jeannie, no matter where they’ve been in the world, has been a story of Christmas at Crab Lake. This is the first such tale” (taken from inside of cover). When one reads that and then reads the story, it just makes it even more meaningful. This book is available for purchase through David Mulford’s website. It retails for $19.99 and is a beautiful hardcover book with lovely illustrations. And, what an appropriate book to give as a Christmas gift! The next book is a wonderful book for young children. The book is called Ted The Friendly Frog And The Tale Of The Diamond, by Scott McCall. This is a story about Ted, a friendly and cute frog. One day his grandfather made a request of Ted. The grandfather asked Ted to keep a careful watch over the family diamond and to NOT play with it around his friends. Ted replied, “You can count on me to keep it safe. I will watch it in this place” (McCall, 2018). Well, not long after grandfather had left, Ted asked his friend if he wanted to see something “neat,” to which his friend said he would. Ted then proceeded to show his friend the diamond. And, it doesn’t end there. Then, they decide to show the diamond to a group of friends. I think we can foretell this may not end well. What do you think will happen next? I don’t want to spoil it for you, but it is an unexpected ending with a few great lessons we can all learn from! Another great feature of this story is that it rhymes throughout, which makes it even more fun (and educational)! 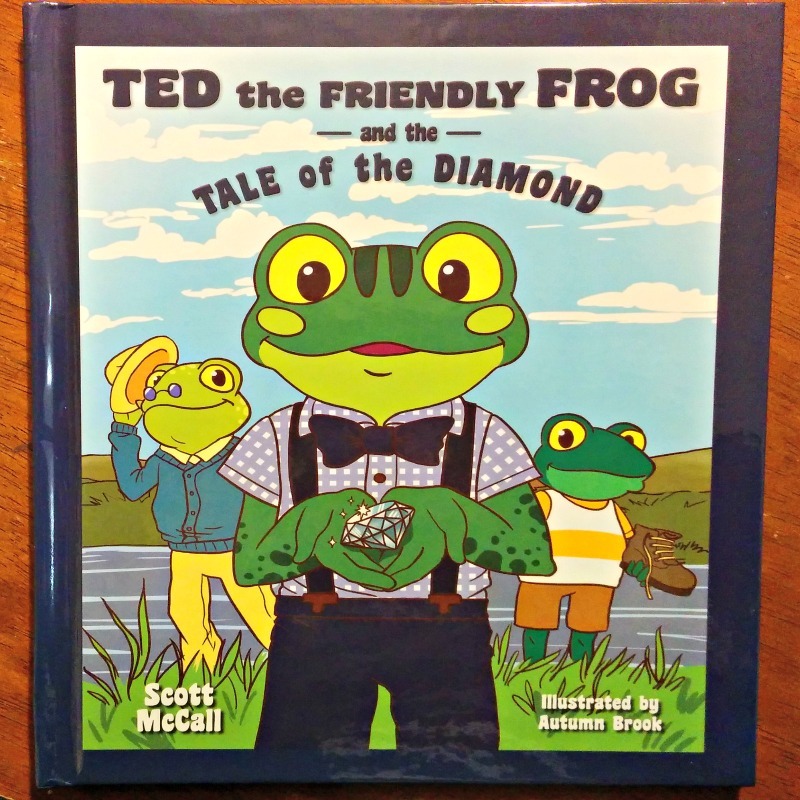 Ted The Friendly Frog And The Tale Of The Diamond is available on the Scott McCall Books website. It’s available as a hardcover for $16.99.